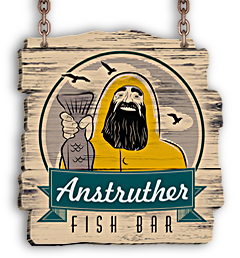 At Anstruther Fish Bar and Restaurant, sustainability is in our DNA. Like many generations of our forefathers, we depend on healthy stocks of Scottish seafish. So, along with an ever-increasing percentage of our customers, we demand that our famous, award-winning food is always caught responsibly and sourced sustainably. 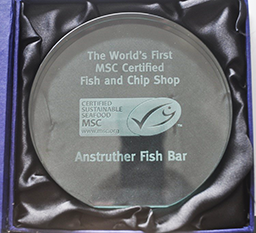 We are proud that Anstruther Fish Bar and Restaurant was the world’s first fish and chip shop to earn Chain of Custody certification from the Marine Stewardship Council – an ecolabel which is the most trusted and recognised indicator of seafood sustainability. We only buy from boats certified under the Seafish Responsible Fishing Scheme, which ensures responsible catching practices and high standards of crew welfare. Our customers care about the provenance of our seafood, so we always chalk up the name of the specific boat which landed today’s catch. We are blessed with some of the world’s highest-quality food on our doorstep, and we source our ingredients locally wherever possible. This keeps ‘food miles’ to a minimum – cutting carbon emissions and giving our diners the freshest, tastiest meals. Our fresh, free-range eggs are supplied by Donald Peddie at Kingsbarns. Our finest Scottish milk and cream comes from D&D Dairies in Crieff. Even the restaurant’s Scottish wine and beer are sourced close to home, from Cairn o' Mohr winery on the Carse of Gowrie, Perthshire, and Eden Mill Brewery of St Andrews. But our low-impact, low-carbon, low-waste philosophy doesn’t just apply to our delicious, fresh food. It is at the heart of Anstruther Fish Bar and Restaurant’s day-to-day business. Our heavy-duty waste compactor has already reduced our landfill waste by a huge margin, and we are well on our way to cutting our landfill waste to zero. The packaging in which we present our famous food is 100% compostable. Our disposable cups, bowls, plates and even napkins are all made from plant-based material, capable of being returned to the earth in just 180 days. These Vegware items are low-carbon, made from renewable or recycled materials, and all can be recycled along with food waste. In just one month of using our Vegware plant-based packaging, we saved over 315kgs of carbon and 240kgs of virgin material. 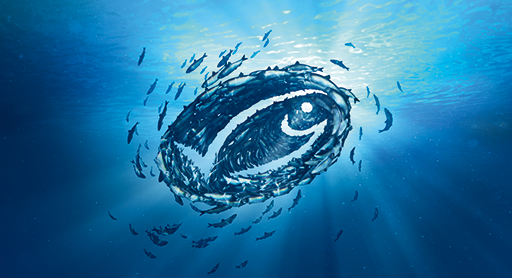 The oil in which we fry our award-winning fresh seafood is recycled into biodiesel.